Back to Blog Listings / Why Should Healthcare be WiFi enabled? It’s a secure, stable and consistent service that allows the public to browse the internet and download apps. But are hospitals getting the most from this WiFi and how can WiFi enabled healthcare be an improvement? Although your hospital already has WiFi implemented, it probably isn’t being used to its full potential. There’s so much more to offer than just internet access when it comes to patient WiFi. Patients can use the hospital WiFi to make requests that would otherwise distract busy staff. An extra pillow, a glass of water and pastoral care could all be available at the touch of a button. Requests can be dealt with quickly by the right member of staff, reducing time wasted on the ward. In the past, patients had to order meals 24 hours in advance to give staff time enough to collect orders and ensure the right food was available. This is still happening, even today. It’s inefficient, especially as during those 24 hours patients might be discharged, move beds or go into surgery. Not to mention, you don’t always know what you’re going to want to eat for all three meals the next day. Now, patients can use the WiFi network to place orders on their devices or bedside monitors. This means less food is wasted and patients are more likely to receive the right meal, even if they’ve moved beds. Bored patients can be difficult for nurses and other hospital staff to deal with and can take time away from other important tasks. Legacy entertainment systems often need the patient to pay fees to watch TV and don’t include a wide range of viewing options. As your hospital provides WiFi enabled healthcare, you’ll be able to introduce improved patient entertainment options. Using their own devices or bedside displays, they’ll have access to a wider range of TV and video on demand. Currently, patients need to pay £5 per day for six hours worth of content. Some patients were unable to pay this and couldn’t access entertainment. This outdated practice is changing and with some platforms, patients will have access to five free TV channels. Games, TV shows and films are all available for patients to enjoy, keeping them entertained whilst on the ward and allowing hospital staff to get on with their jobs. This is especially important in paediatric wards and can help to relax both unwell and visiting children. When using the WiFi, patients can access a library of educational information. This information can be tailored to suit the ward the patient is on. For example, patients on a cardiology ward can learn about heart disease and how to prevent it. Previous systems have offered patients the chance to explore the NHS’ library of content but it’s been difficult to find and access. Patients would now be easily able to browse useful clinical information, like smoking, diabetes and mental health content, helping them to make informed choices about their health. When speaking to patients, it can be difficult for doctors to convey exactly what the patient’s issue might be. However, with the educational content being readily available, they can refer to helpful guides and videos to help the patient understand. When fully embracing WiFi enabled healthcare, hospitals become more efficient places. Visitors can access maps and view scheduled consultations, reducing the number of missed appointments and the staff time that’s spent guiding people. The latest platforms that visitors use to access the WiFi can be designed to work on any device that the patient may have. Information can also be translated into multiple languages, so that as many people as possible have a stress-free visit. WiFi allows hospital staff to be in control at all times, choosing what patients see when using the WiFi. You might choose to have scrolling images on the media screens that carry important messages like anti-smoking. As every patient will have access to the network, you’re able to give a better, more bespoke service. Send a survey to the entire Trust or to just one ward to get quick, actionable feedback. Feedback surveys completed online are more likely to be honest than face to face interviews. This useful feedback can help you to improve services if common issues are regularly raised and meet CQUIN (Commissioning for Quality and Innovation) targets. Patients and staff use different networks but doctors can use Trust-owned devices to show a patient’s important results to them. This is done using a simple sign on but doesn’t give patients access to any information they shouldn’t have. The platform is secure at all times, keeping patient information safe from threats. The hardware itself only works within the hospital and is totally useless for anyone who tries to take it home with them. 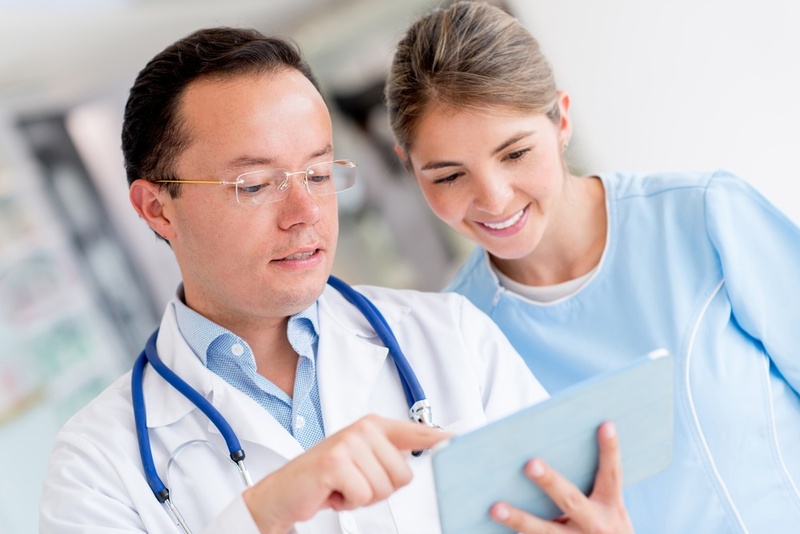 New and innovative systems can use the WiFi to improve a patient’s experience. Previous iterations are outdated, ineffective and have left hospitals with bulky equipment they don’t need. Introducing SPARK® Media can save an average 600 bed hospital £126,250 per year in cost savings and CQUIN targets, which support improvements in the quality of services, as well as in food wastage, ad revenue and more. SPARK® Media is a revolutionary new platform that uses your hospital’s already existing WiFi to significantly improve patient satisfaction and staff efficiency. It gives patients access to a huge range of entertainment options, including standard TV, satellite channels like Sky Sports and Video on Demand. Patients can contact loved ones, make requests and complete surveys, giving you valuable data that will help you to improve services. Designed to work on patient’s existing devices, SPARK® Media has everything a patient would need to maintain their independence and have a pleasant stay in your hospital. Find out more about WiFi enabled healthcare, SPARK® Media and the different packages available by downloading our free brochure using the link below.